The first female head of the Metropolitan police? News International’s ethics, order or lack thereof, have been a familiarly recurring news story (in the British press at least) over the past few months. 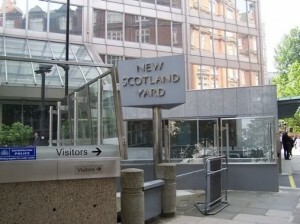 But questions have also now arisen about the ethics of some members of the Metropolitan police, both in terms of alleged payments that may have been made to some officers, as well as a marked reluctance at a senior level to investigate claims of widespread phone hacking by the company. Enter Sue Akers, the deputy assistant commissioner of the Metropolitan police who is in charge of the fresh investigation into phone hacking and who gave evidence yesterday to a group of MPs (Members of the UK Parliament). Unlike her predecessors, Andy Hayman who oversaw the original 2006 investigation and John Yates who reviewed it in 2009, the Telegraph’s Daniel Knowles praised her for being ‘straight to the point with confidently delivered facts’. Currently Akers is in the process of adopting a ‘very broad’ approach into the new phone hacking enquiry. Though Scotland Yard has only notified 170 of the suspected 4,000 victims of phone hacking, she intends to ensure that everyone affected is contacted. In her view, people who have left messages on hacked phones feel that their privacy has been invaded, as well as those people to whom the messages were directed.